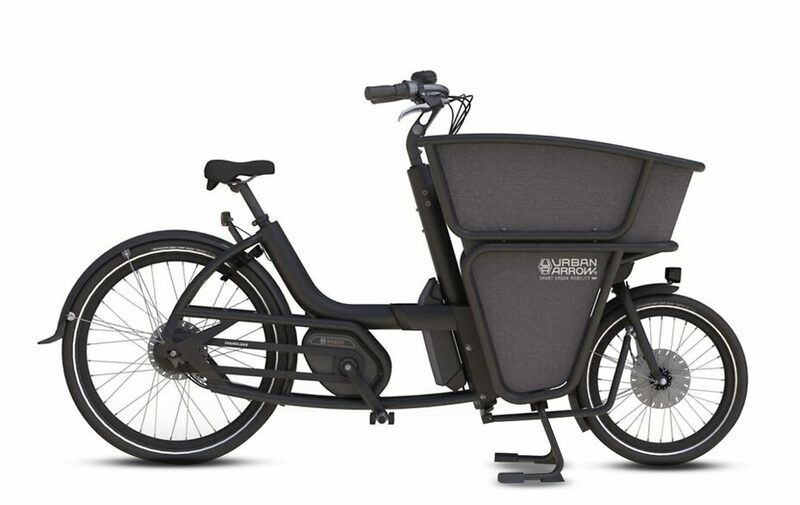 Riese & Muller Multicharger Vario, with this cargo bike which is not a cargo bike. A load capacity of 60 kg, a discreet long tail, 2 kids on the back with handlebar and foot support, the possibility to have a child seat. The cargo bike does not need anymore to scare people off. Thanks to the Bosch Performance CX motor and virtually wear-free Enviolo hub gear and the extremely low-maintenance Gates belt drive. This combination promises unique riding pleasure with no pit stops. Hydraulic Magura MT4 disc brakes ensure a high degree of safety and allow pinpoint accurate delivery of the braking power. 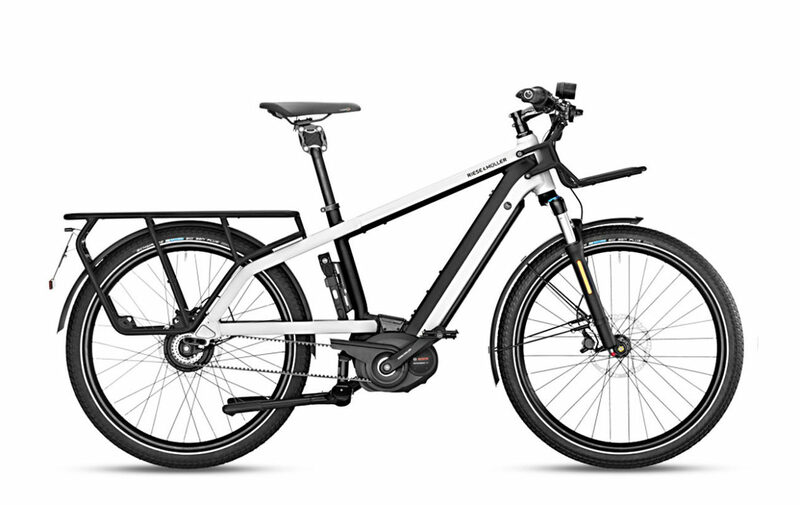 Motor: The Riese & Muller Multicharger Vario comes with Bosch Performance CX, 20 mph. The Bosch Motor riding sensation creates a unique electric bike experience. It features three sensors, it measures pedaling power, cadence, and speed more than 1000 times per second. This enables the rider and the electric bike to interact with each other organically. 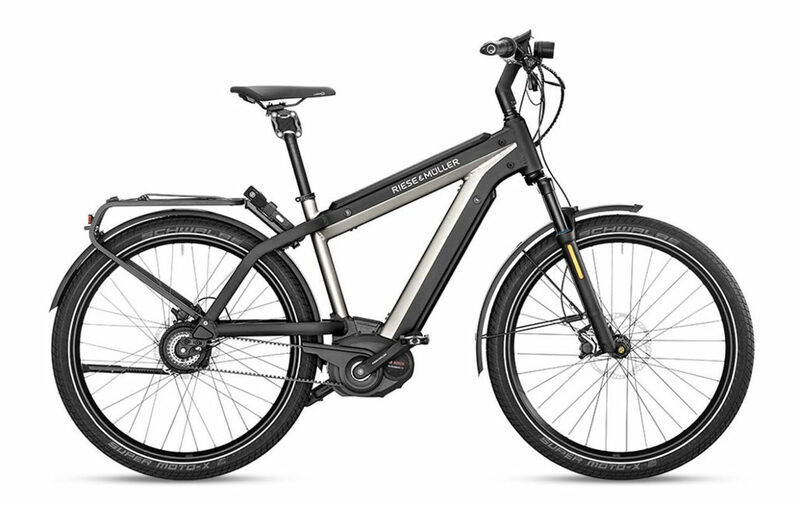 Brakes: The Riese & Muller Multicharger Vario is equipped with Magura MT4 disc brakes. High braking power and stability make the MT4 a reliable companion on many different trails and terrains. 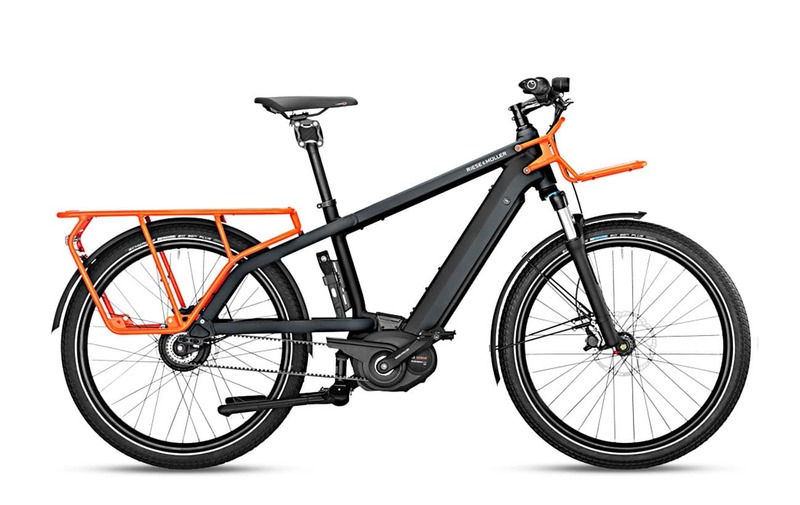 Accessories: The Riese & Muller Multicharger Vario comes with Supernova E3 E-Bike head light and Busch & Müller Toplight 2C LED tail light for safety, it also comes with SKS A65R mudguards, a Ursus 80 Jumbo II Double leg kickstand and a Billy bell. Our team has a lot of experience outfitting bikes with additional accessories, so be sure to reach out to us if there’s anything you may need.